But employers don’t actually pay 6.0 percent FUTA tax because if they don’t have an outstanding unemployment insurance loan with the federal government and they pay their taxes on time, they receive a 5.4 percent credit resulting in a tax rate of 0.6 percent. Due to outstanding unemployment insurance loans, California and the U.S. Virgin Islands each will have a reduction of the FUTA credit of 2.1 percent, resulting in a 2.7 percent FUTA rate. Employers in these areas will be assessed up to an additional $147 for each employee for 2017. See full instructions for Form 940 FUTA Tax Return. Based on a recent court case, employers must do more to notify and educate employees about their rights under FMLA. Failure to provide the correct notices may qualify as actionable interference, restraint or denial of an employee's rights under the FMLA. That means an employee could potentially be entitled to damages or equitable relief. If your frontline managers and HR team aren’t educated in helping employees understand FMLA rights, now’s the time to start! According to SHRM, employers must give multiple types of notices. "Eligibility notice" requires the employer to inform the employee whether he or she is eligible to take FMLA leave. "Rights and responsibilities notice" requires the employer to inform the employee of any obligations or responsibilities the employee may have under the employer's leave policy. "Designation notice" requires the employer to inform the employee if the leave requested will be designated as FMLA-qualifying. Canigiani v. Banc of America Merchant Services LLC, S.D. Fla., No. 17-cv-61270 (Oct. 3, 2017). Initiative 1433, passed by voters in November 2016 will impact employees In Washington State, where mandatory paid sick leave goes into effect 1/1/18. Note that Arizona passed similar legislation in 2017, following California, Oregon, Washington, Connecticut, Massachusetts, and Vermont. That’s in addition to some cities with their own ordinances, including New York City, Chicago, San Francisco and many others. Be sure you are informed of any local changes in the mandatory paid sick leave regulations that impact your region. Like many similar laws, employees in Washington will earn sick leave at the rate of 1 hour for every 40 hours worked. If an employee is covered by the Washington Minimum Wage Law, then they are also covered under the Washington Sick Leave Law. Full time, part-time, temporary, and seasonal employees are all covered under the law. Note that this also includes agricultural jobs. The new law does not include exempt, salaried employees. Employees can use their sick time for sickness, a health condition, or injury, including physical or mental health. The time can also be used to care for a spouse or child. This includes when a child’s school or child care location has been closed. Further details and reporting requirements can be found at http://www.lni.wa.gov/sickleave/. It should also be noted that on November 2, the H.R. 4219: Workflex in the 21st Century Act bill was introduced in the House of Representatives, and while this legislation will likely see many changes before it comes before the full House and Senate, it has the potential to preempt some state legislation and require changes, specifically as rules apply to employers by size. It is recommended that employers covered by state and local laws follow the law that most benefits the employee. Check with your state labor department to determine if you are required to provide paid sick leave to your employees. In October 2017, the Social Security Administration announced that the Old-Age, Survivors and Disability Insurance taxable wage base (also known as Social Security wage base limit) would increase to $128,700 in 2018, up from $127,200 in 2017. Then in November the administration announced a new amount for 2018, $128,400. The tax rate remains unchanged at 6.2 percent. About 12 million workers will pay more because of the increase in the taxable maximum. An additional 0.9 percent in Medicare taxes applies to individuals with earned income of more than $200,000, and $250,000 for married couples filing jointly. Employees are to earn one credit for each $1,320 of earnings paid in 2018, up from $1,300, the SSA said. The maximum number of credits that employees may earn in a year is four. The Social Security earnings limit for workers who reach full retirement age increases to $45,360 in 2018, up from $44,880. January 31, 2018, is the due date for ACA forms 1095-C for employees. In past years, the due dates were extended, but an extension is not expected for 2018. These forms are due along with W-2s on January 31. The IRS has added penalty amounts to the draft instructions for the forms. As this is a draft, changes may be announced before 2018. As of now, employers are required to file electronically and may incur a fine if they do not. Additionally, the IRS is actively sending ACA-related notices, also known as Letter 226-J, to applicable large employers with assessments for 2015 reporting. Read more in our HR News post, What To Do If You Receive IRS Letter 226-J. While the Federal minimum wage has remained at $7.25 per hour since 2009, some states base their minimum wage on inflation in that state, and a number of cities have enacted their own minimum pay laws. For example, the City of Los Angeles and the unincorporated areas of Los Angeles County have a minimum wage that goes up again later in 2018, so for employers with 25 or fewer employees that rate is $12. For companies with 26 or more employees, the rate is $13.25. There are 18 state minimum wage changes taking effect January 1, 2018. See our HR News post for state minimum wage details. Last year we wrote about how overtime rules would change for exempt employees. That change was delayed late last year due to a preliminary injunction issued prior to the new rule’s effective date. The USDOL under the Trump administration delayed its response to the injunction and by midyear released a request for information on the overtime rule, which has generated robust debate on both sides of the issue for the past two years. On Oct. 30, 2017, a federal district court’s ruling against the department’s overtime rule and to ask that the appeal is put on hold so it can prepare a new rule, potentially with a new salary level. The Legal Workforce Act (LWA), H.R. 3711, would require U.S. employers to check worker eligibility through E-Verify, the federal electronic verification system. While this bill hasn’t passed, it’s something to watch in 2018 and could lead to significant changes to the current I-9 system. Likewise, the Agricultural Guestworker Act could mean new requirements for many companies. H.R. 4092, would create a new H-2C Temporary Agricultural Work Visa Program and replace the current H2A program. 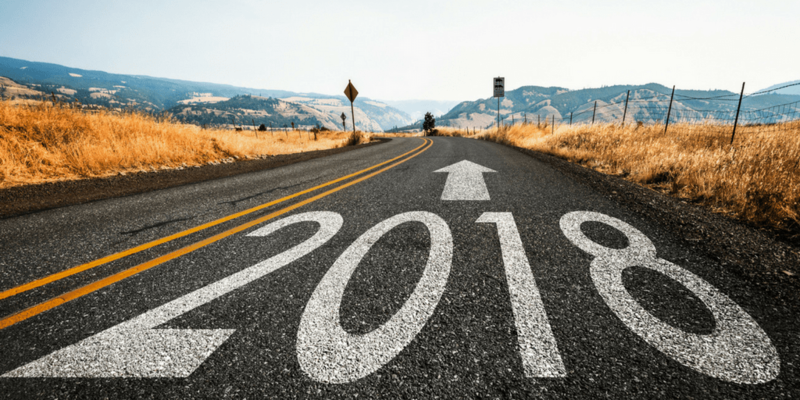 With so many new rules to follow in 2018 and the uncertainty of what may or may not change with a new tax law, you may consider contacting an employment and/or tax attorney to ensure you are following all applicable laws in the coming year.